A new chapter in the life of young lawyer, Tafafunai Steve Chan Chui, has started. The law graduate from Waikato University, who is already a member of the New Zealand bar, was admitted to the local bar yesterday. 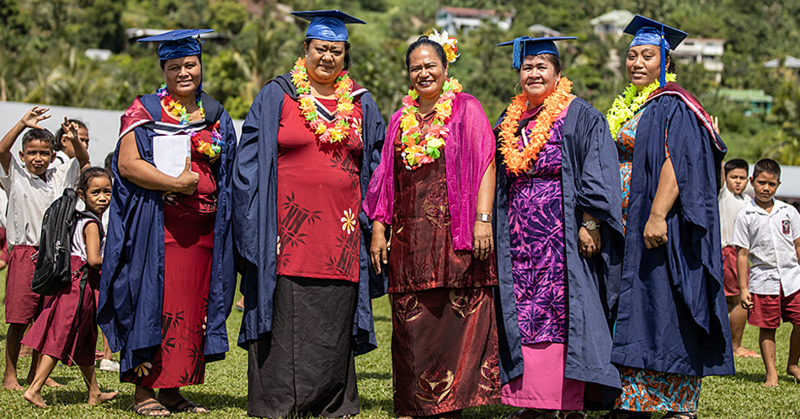 The admission ceremony was officiated by Chief Justice, His Honour Patu Tiava’asue Falefatu Sapolu, in the Supreme Court. Tafafunai was presented to the bar by Masoe Charlie Vaai while the Samoa Law Society was represented by Secretary, Tafailagi Peniamina. 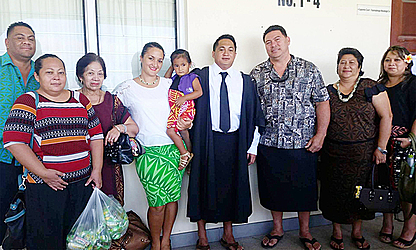 “After one year of practice, your law degree will no longer matter,” His Honour Patu told the newest member of the bar. Becoming a truly accomplished lawyer requires hard work, perseverance and a good character, the Chief Justice reminded. Chief Justice Patu urged Tafafunai to take pride in this profession and to remember that Rome was not built in a day. 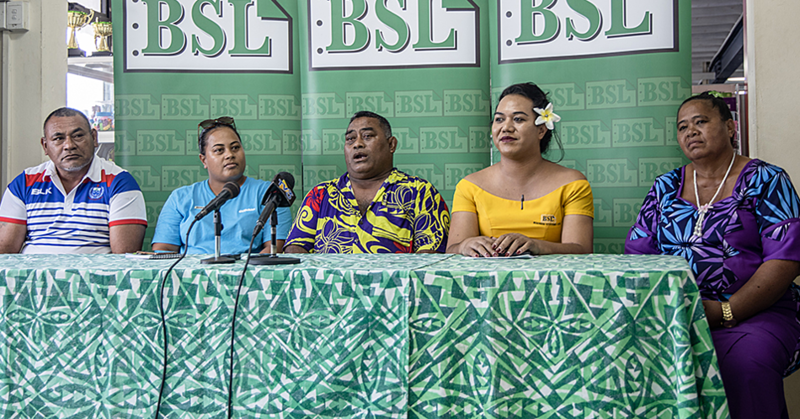 Speaking to the Samoa Observer, 27-year-old Tafafunai said he has always dreamt of becoming a lawyer. Tafafunai graduated from Robert Louis Steveson School 2006 and then attended U.P.Y in 2007 before he made it to Waikato University. He graduated in 2012. Tafafunai is the eldest of six siblings and is the son of Taulapapa Tivia and Michelle Chan Chui although he was raised by his grandmother, Pepe Chan Chui. He is working as a Legal Officer for the Public Service Commission. 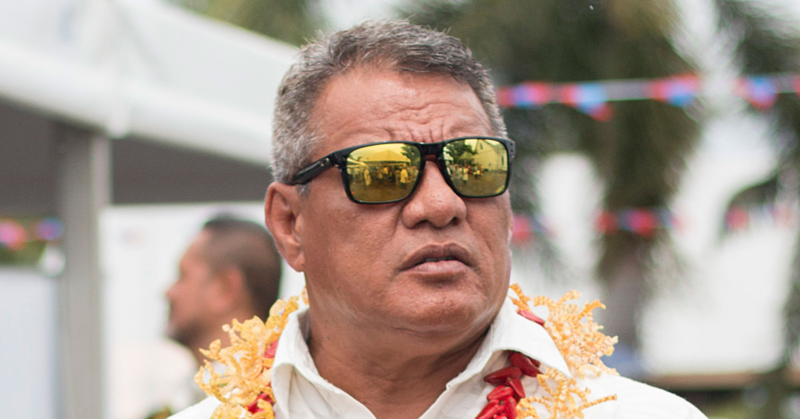 The Ululoloa resident is married with one daughter.